Perfect summer sailboat outfit. 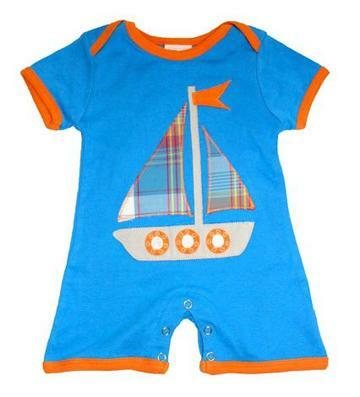 The blue with orange trim romper has a sailboat appliqué on the middle with yellow, red, blue and white plaid. This casual baby boy outfit is 100% cotton and very comfortable.